On its 35th Anniversary, Louis Garneau Sports (LGS) celebrates by making a strategic acquisition. Indeed, SUGOI, a cyclewear apparel line of publicly traded Dorel Industries (TSX: DII.B: DII:A), owners of Dorel Sports, is now part of the Garneau family of brands. SUGOI, founded in 1987 by two Vancouver entrepreneurs, specializes in cycling, triathlon and running apparel. It is also home to Sombrio®, a mountain bike apparel brand well-known among fans of this sport. Sombrio has been in existence for over 15 years, with designs inspired by Vancouver’s North Shore. Louis Garneau Sports thus realizes a strategic acquisition that will reinforce its positioning on the West Coast of both Canada and the USA and provide strategic opportunities for growth in Western Europe and Asia. SUGOI is currently present in over 3,000 retailers and has always been based on innovation and quality, just like Sombrio. With the arrival of the second generation of Garneau’s in the company, LGS is undergoing a transformation and regeneration of its business model. William, 28, is General Manager of the company while Edouard, 25, is Sales Director. The youngest, Victoria, 21, has just finished her studies in Fashion Design and will soon be joining her brothers full-time in the family company. This completes the Dream Team, reinventing itself with the help of the world-class communications firm Cossette and supported by Garneau’s proven management team. “We are reinventing ourselves because cycling is not only about the professionals, it is also a lifestyle. We will be touching many categories of cycling through apparel. We want to become the leader by introducing a ready-to-wear bike apparel segment for people who practice active transportation, making biking accessible and fun for everyone and, in doing so, create a cycling lifestyle. We want to be the world’s cycling solution with our brand portfolio,” Louis Garneau explains. “This is my legacy to my three children… this Never Give Up philosophy that is my motto, and which is demonstrated through this acquisition,” the Saint-Augustin-de-Desmaures businessman states. 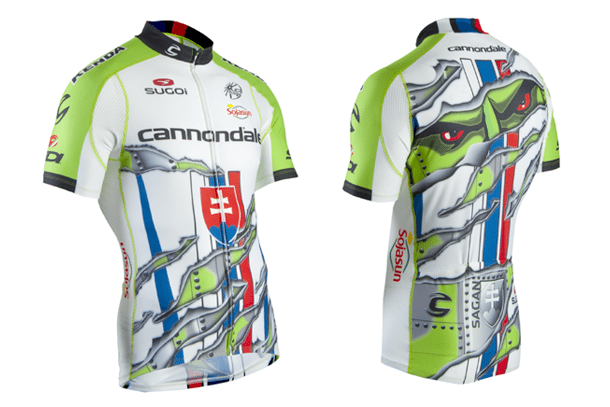 Louis Garneau Sports will keep Sales & Marketing operations for SUGOI and Sombrio in Vancouver, as well as product design, to keep the spirit of the Canadian West Coast alive. The rest of the activities will be transferred to the LGS head office in Saint-Augustin-de-Desmaures, Quebec, where approximately 10 new jobs will be created. The Garneau family is very proud of this acquisition, especially in the context of William, Edouard and Victoria working to bring the company to the next level and, why not, do better than Dad!